Katie Hale, Dipl. OM.,L.Ac., True North's owner and integrative practitioner, provides natural, refreshing and effective alternative medicine for active individuals/families. Her holistically crafted treatments combine acupuncture, cupping, herbal medicines, diet/nutrition advice and lifestyle counseling. You'll find that her approach will not only restore mind, body, and spirit but also help you heal at the core and make genuine, long-lasting changes. Katie is exceptional at treating a variety of conditions including infertility, pregnancy, pain, allergies, stress, sleep disorders, fatigue, digestive issues and much more. 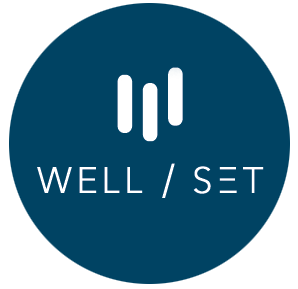 Conveniently located at Well Set, in Denver's Highlands/Sloan's Lake (SloHi) Neighborhood. Acupuncture uses needles to access the body's energy (Qi) and encourages natural healing. Treating various physical, mental, and emotional conditions, acupuncture is a key component of healing. Our herbal consultations work with acupuncture to encourage the healing process. Katie’s herbal formulas are specially crafted for each individual and are often modified as the healing process progresses. Diet, nutrition and lifestyle are a cornerstone of holistic healing and growth. Making small or big changes can help address many conditions. Katie develops a custom plan that best suits your health goals. While Katie treats a wide range of general health conditions, she is extremely savvy and successful in caring for women's health needs, infertility and pregnancy. Utilizing effective natural methods Katie ensures you get the personalized care and experience you deserve, while helping you heal and make genuine, long-lasting changes. Health and wellness areas unique to women that we can help with include hormone imbalances, menopause, PCOS, fibroids, painful periods, menstrual headaches, irregular periods, infertility, IUI/IVF enhancements, pregnancy, morning sickness, back and hip pain, breeched baby, labor induction, postpartum care, pediatrics and more. We couldn’t ask for a better place to call home with Well Set. Our wellness collective is comprised of elite experts in chiropractic, acupuncture, massage therapy, physical therapy and much more. The refreshingly modern space embraces collaboration, respect, balance, and well-being. You'll discover an atmosphere that not only promotes whole body health and wellness, but also fosters a strong commitment to our patients and the community. Katie offers a unique holistic perspective, full of inspiration and easy to apply information that active individuals/families can benefit from. Providing you the tools and resources to help make it happen in a mindful & holistic way!